In an unpredictable world where successful businesses increasingly rely on global sourcing, we value agility, flexibility and an out-of-the-box approach in our supply chain professionals as well as a keen sense of responsibility. As you know, having the right products in the right place at the right time has a direct effect on bottom line. With roles in supply chain logistics, we can provide the opportunity to move beyond purely product-related supply chain management, enabling you to advance your career by helping shape the way our global organization operates. Every day will bring new, unexpected challenges. Join our Operations Leadership Development Program. During a two year, international rotational program, you will be able to identify process improvements relating to the Philips operations organization, lead teams from discovery to the implementation and measurement of the improvements. Ultimately leading to a better patient and customer experience during diagnosis. You will be part of the Diagnostic Imaging (DI) organization which develops breakthrough diagnostic devices designed around patients’ needs. Our Diagnostic Imaging (DI) organization. DI – which includes our MRI and X-ray systems - is one of the core areas in our Diagnosis and Treatment business, the largest business group within Philips. Our ambient solution is just one example, allowing patient experience to be comfortable while collecting diagnostic data. Three rotations lasting between six to nine months for a total duration of approximately two years, including the opportunity to work abroad. These rotations will allow you to gain leadership experience in operational functions across the organisation. 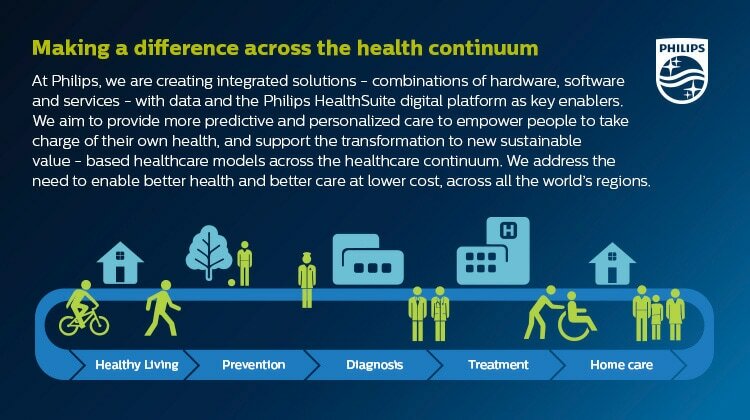 Throughout the program you’ll be assisted by experienced industry experts and business leaders within Philips. This means you’ll be able to grow and advance with the help of people that know the business inside out. "One of the most rewarding elements is that Philips genuinely appreciates when people go the extra mile"
"It’s not until you’re relying on a Philips device to save the life of a family member that you truly appreciate the hard work that goes into design and build process"
"The key to a successful donation is not just handing over a piece of equipment; it’s about finding a solution that will ensure there’s a long-term and tangible impact"
"One of the things I’ve been most impressed with since being at Philips is that people stay for a long time, and I think that’s largely because we know how to work as a team"
In this program you have the opportunity to see Philips supply chain and operations from all angles around the globe. You will be coached throughout the program by our senior leadership team. Working at Philips is more than a job. It’s a calling to create a healthier society through meaningful work, focused on improving three billion lives a year by delivering innovative solutions across the health continuum. Our people experience a variety of unexpected moments when their lives and careers merge in significant ways.